Every once in a while an ingredient takes the spotlight and it seems that every cooking magazine, cooking show, food blogger uses it. And oohs and aahs about it. Smoked paprika had its turn. Macha powder. Farro. Chia seeds. And then, there’s Biscoff. One of the reasons it took me a while to join this crowd was the realization that I would be powerless once that jar was open. As I mentioned in the past, Delta Airline cookies make me lose all my composure. And Biscoff, dear friends, is a Delta cookie in spreadable form. My knees go weak, my mind goes wild. Please make these cookies. They will use half a cup of the addictive spread, so you’ll have a little less left to tempt you every time you pass by your pantry. And if my own post doesn’t convince you to bring a jar of the spread home, click here to see what Jessica had to say about it over at Feastie. Heads Up: Cookie dough must be refrigerated for 3o minutes before baking! In a medium bowl, whisk together the oats, flour, baking soda, cinnamon, and salt. Set aside. In the bowl of a stand mixer, add the butter, Biscoff spread, sugar, and brown sugar and beat on medium speed until smooth and creamy. Add the egg and vanilla extra and beat until smooth.Reduce the mixer speed to low and slowly add the dry ingredients, beating only until blended. Chill the dough 30 minutes in the refrigerator. 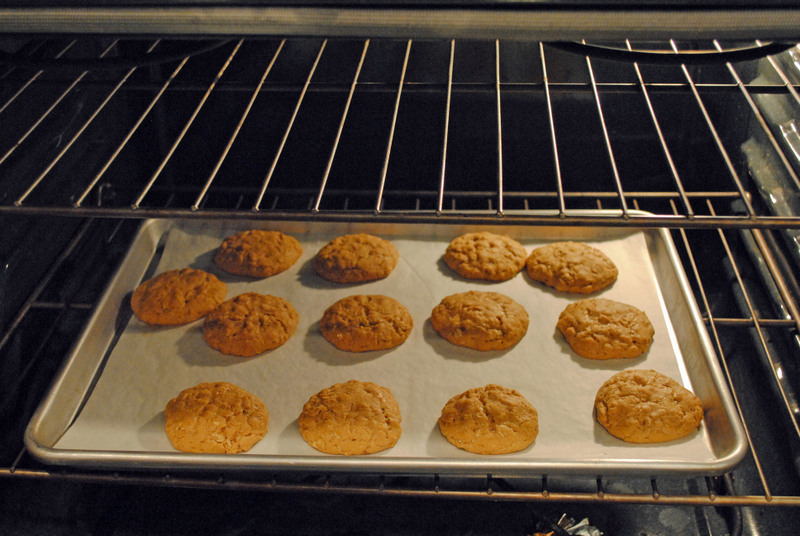 As it cools, turn your oven to 350F and line a baking sheet with parchment paper.Form the cookie dough into rounded tablespoons and place them 2 inches apart on the baking sheet. Bake for 8 to 10 minutes or until cookies are golden and just firm around the edges. Do not overbake. If you are new to Biscoff, open the jar, close your eyes and take a good sniff at it: such a heavenly smell! These cookies are very close to perfection in my book. The inclusion of oatmeal gives them that “I am good for you” aura, so that you don’t dwell on the number of calories packed in a teaspoon of Biscoff. Go for a run, join Tony Horton for a session of plyometrics, do whatever you need for damage control, but please, make these cookies! My pleasure! I’ve pinned them both and thought it was a great opportunity to share… Actually, your blog is a fantastic source of inspiration! I seem to recall the name Biscoff but like with Nutella, I’m not really into sweet spreads. Jam lasts forever in my house and if not for ham and peanut butter sandwiches, I probably wouldn’t buy peanut butter very often either. Not much of a jam consumer myself – never touch jams or preserves, Phil is the jam lover. But, Biscoff has a spot in my heart… as well as Nutella…. I love that paste (we get the Belgian one here)! Great cookies. I bet they are really addictive. Such a scrumptious sounding cookies. I wonder who wouldn’t like it? I don’t know who could possibly say no to these cookies – they have almost a burnt butter quality, in between burnt butter and caramel. Two things that are on the top of the pyramid of tasty stuff. Right there with chocolate. And Delta cookies. They’re so good…addictive! I polished off my last jar of the stuff (with a spoon), it’s unbelievably good. I’ll hang out on the Biscoff bandwagon with you any day Sally! Ok I just finished eating an apple spread with Biscoff…I have NOT looked at the calorie count…should I? I’ll be making these cookies as they sound so yummy! I haven’t made anything with Biscoff but love to spread it on my apples…now I”m just leary of that ole calorie count. I’ve never heard of Biscoff. What is it? It sounds delicious and like something I need to discover. 🙂 I do love a good cookie. And I’m going to have to try those Delta Airline cookies sometime too. I haven’t tried Biscoff yet but you sure make a strong case for it Sally ;-). (Mind you, I’m not sure I need another food addiction in my life – LOL). 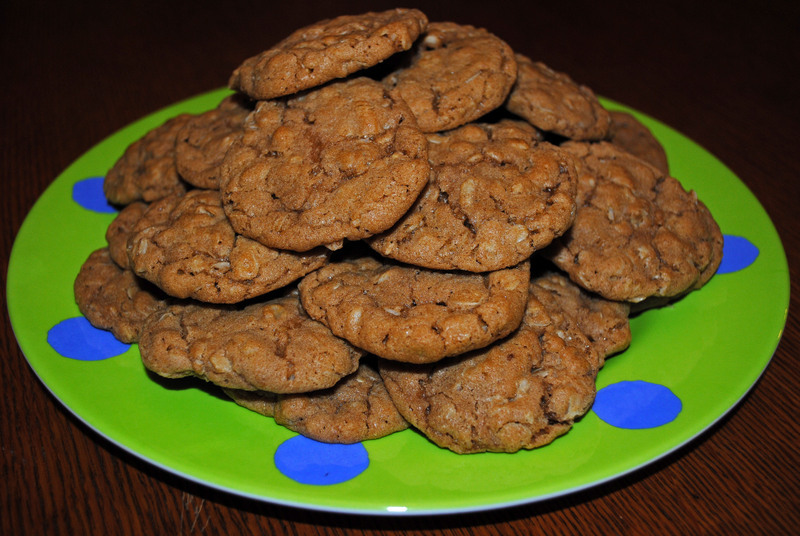 Delicious looking cookies Sally and thank you for all the lovely sounding links. oh i have been on this bandwagon and not sure i will ever leave it really. I just adore biscoff and these cookies look to die for!